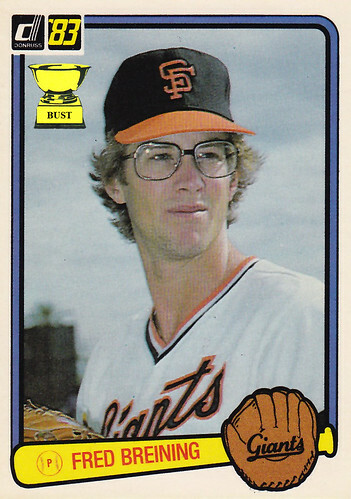 Blatant fraud: We're not entirely sure how it happened, but Timothy Busfield from "Revenge of the Nerds" passed himself off as a baseball pitcher and got his own card under a different name. In the process, he's the fourth actor from the movie to make the Bust. First there was this guy. Then, this guy. And this guy. Fine work. Mr. Busfield. Fine work, indeed.